Chris Walling has been an active leader in healthcare for nearly two decades. His work integrates the developmental, biological, and somatic aspects of the lifespan. His work in academic medicine has included the administration of multidisciplinary leadership teams in hematology-oncology, physical medicine and rehabilitation, and geriatric psychiatry. Dr. Walling’s service in geriatric psychiatry began as the Executive Administrator for the UCLA Longevity Center and Division of Geriatric Psychiatry in 2010. It was there through his work with world class physician researchers he began to explore the applications of yoga therapy in mental health. He currently serves as Chairman of the Education Advisory Committee for the Alzheimer’s Research and Prevention Foundation. He is a certified yoga therapist through the International Association of Yoga Therapists, and a Certified Yoga and Meditation instructor through Yoga Alliance. Dr. Walling is the President of the United States Association of Body Psychotherapy. His clinical focus in the behavioral sciences has examined the intersections of neuropsychotherapy, affect regulation, and body psychology. 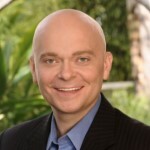 His passion and expertise in resilience, mindfulness, and psychological wellbeing make him a sought after speaker for several Fortune 500 companies where he has helped executives learn how to harness the power of peak performance via the innate resources of the body. Carol Hahn is a Registered Nurse with over 30 years of varied health experience in hospitals, nursing homes, assisted living facilities, home care, and adult day programs. In addition, she has taught in several university nursing programs and worked at the Alzheimer’s Association. Carol is also a Registered Yoga Teacher and a Certified Personal Trainer and has her own business as a Wellness and Fitness Nurse. Working with people over the age of 50, she uses a holistic approach to improve balance, flexibility, strength, and quality of life. She coaches clients in the community, helping them meet their goals through an integrated and holistic perspective of nursing, yoga, and personal training. Carol currently conducts education programs on dementia and other geriatric topics in a variety of settings, both locally and nationally. She has a Master’s of Science degree in Nursing, with a clinical focus in Gerontology, from California State University, Dominguez Hills. Carol earned a certificate in Alzheimer’s Disease Management from Southern Indiana University, is a Certified Dementia Professional through the National Council of Certified Dementia Practitioners, and is a member of the American Holistic Nurses Association. 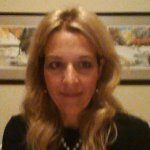 Dr. Patricia Cornille is a compassionate and dedicated clinical specialist and program development consultant. 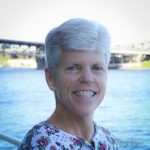 An occupational therapist with over 25 years of experience, Pat has worked with individuals living with a wide range of cognitive impairments including dementia, brain injury, intellectual disabilities, and mental health conditions. She is a leading advocate for positive change in dementia care and community awareness. Pat earned her doctorate from Creighton University where she focused her studies on improving and expanding dementia care practices. Some of her projects and research included examining staff observations of engagement in people living with moderate to severe dementia, developing organizational and community programs, and designing interventions addressing neuropsychiatric symptoms associated with dementia. Pat, a passionate educator, offers practical techniques and clinical training to students, professionals and caregivers. She has taught graduate level occupational therapy courses at Western Michigan University and served as a student admissions evaluator, thesis committee member, and guest lecturer at Grand Valley State University. In the field, Pat conducts national and international workshops and develops customized programs and training throughout the United States. Additionally, she has been a keynote speaker at professional conferences and served as the president of the Allen Cognitive Network. Kirti serves as the Chief Executive Officer and Secretary of the Board of ARPF. Fluent in five languages, Kirti is a master communicator and an integral part in developing ARPF’s international presence. She manages all of ARPF’s educational programs, organization and administration relations, and has spearheaded the ARPF Memory Screening Initiative for the past 15 years. 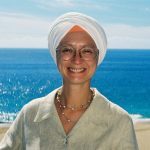 Although much of her work has been over a worldwide platform, Kirti is also very active in her local Tucson community. As an experienced yoga practitioner, she has taught yoga classes to seniors and people with disabilities for over 20 years. She also supports the local Senior Companion Program and works with her Rotary Club to promote health awareness, She is a graduate of the Senior Suicide Prevent Program, as well as the Grief Recovery Program. Her passion is to keep our elders healthy and a vibrant part of our community and is an avid supporter in helping seniors through lectures and wellness programs. Kirti is a black belt in Indian Martial Art “Gatka” and a brown belt in Kung Fu. If you have any questions, please email Julie Erla, Educational Programs Coordinator, at julie@alzheimersprevention.org.